The numbers speak for themselves. According to one survey, 38% of IoT businesses generate at least half of their revenue from their hardware, with the rest of their revenue derived from the complementary services. Within the next few years, that same percentage will be generating at least half of their income from services, with a lower portion of revenue generation from the hardware itself. This is great news for businesses monetizing the IoT trend. However, let’s dig into some basics about that monetization process. 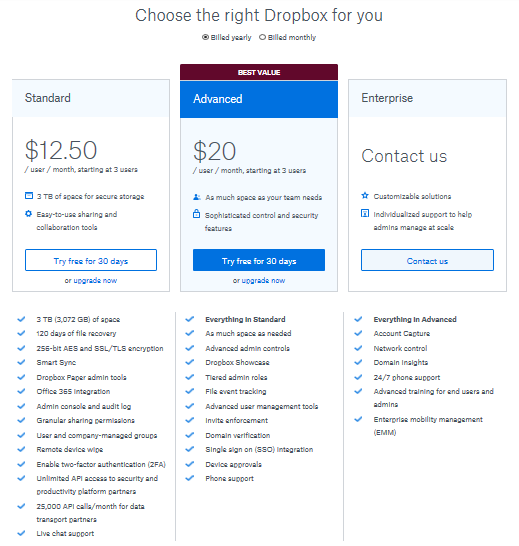 Do you know how much cloud storage you pay for with Dropbox? How close are you to the cap on your phone’s data plan? What about the number of devices you can stream on your Netflix account? We’ve all been there. Everyone in your house is streaming and you get the dreaded notification that too many devices are being used to stream with your Netflix account. Rather than kicking someone off, you simply upgrade your subscription and pay a few more bucks every month to allow for extra devices. What about the last time you hailed a taxi. Did you pay a flat fee for the simple convenience of being taken to your destination? No. You were charged to for the distance you traveled from point A to point B. These are all examples of usage-based pricing, or consumption-based pricing, a trend that more recurring billing companies are turning to in order to maximize profits. This pricing approach is very popular with SaaS businesses, because it gives you the ability to lay out exactly what you are offering with specific granularity. In the example below, Dropbox spells out exactly what you get with each subscription fee. Think of usage in the form of mobile data, for example. You can plan on purchasing a few GBs per tier. You know each month that you will be hitting this specific number based on your data needs. However, if you plan and pay for 2 GB a month, and suddenly, you want 30 GBs, you’re either going to go offline or bump up to the next tier. Tiered pricing spells out the actual features that you are offering to customers, while also securing them into the level that best fits their needs. If they need more features, they can bump themselves up to the next level. Also, by spelling out the features, like in the above example, it provides a natural upsell to your product. With this usage model, a customer can secure a subscription but also has the flexibility to bump up if he goes over his limit. In this instance, a customer pays one subscription fee for a predetermined quantity, but in the event that a larger quantity is required, he is automatically allowed to go higher and pay for that extra activity just this one time. The next month, the subscription resets to the pre-planned quantity. Going back to our mobile data example, if someone paid for 2 GBs, but then used up 30 GBs in a month, he would pay an overage price for those extra 28 GBs that month, returning to his normal quantity the following billing cycle. This pay-as-you-go model allows you to charge a customer for their actual consumption. If a customer does not use a product each month, she isn’t charged for it. Consequently, you can buy 1 GB of mobile data or 30 GB, and only pay what you need each month. This pricing model captures the attention of customers with inconsistent usage and is ideal for seasonal customers, because they aren’t locked into paying for something they may not need. The Internet of Things (IoT) has become a game changer for subscription-based businesses by facilitating exponential growth in data capture opportunities. Businesses can use this data to bill customers for their usage. In a traditional billing approach, customers would buy a device with a one-time transaction. However, today’s technology allows devices to transmit usage data to a business, which then bill their users for the usage. Businesses in the telematics industry are seeing huge jumps in their ability to bill customers, changing the face of insurance, for example. With better tracking, insurers can develop a baseline of customer behavior by measuring things like braking, accelerating and how tightly they take their corners. With this knowledge, they can bill their customers accordingly. In fact, one estimate predicts that this industry may reach $750 billion by 2030. Technology is advancing rapidly, while costs of IT assets in advanced technology decrease. Cloud technology and ever shrinking components are becoming increasingly affordable across the board. Now, it’s not just larger companies that can afford to incorporate sophisticated sensors in their devices. Even smaller or startup companies can take advantage of the usage-based billing trend to maximize on profits and grow. Conversely, the digital revolution works well for large companies as well, because it gives them the agility that smaller companies generally benefit from. What if you designed brakes that had sensors in them? You could not only better predict when brakes would need to be replaced, but you could actually charge for the number of times brakes were used. Or, if your business created devices in the healthcare field, such as an insulin pump. With usage-based technology, you can charge for each time a glucose reading was taken and when insulin was administered accordingly, while reducing or eliminating the costs of the initial purchase of the device. This reduction in up-front costs to the customer could potentially remove barriers to access and adoption. Many predictors conclude that almost every industry will be impacted by digital disruption and adoption of IoT schematics, with the three largest verticals impacted in the industrial sector, information technology and the consumer discretionary arena. The usage-based billing trend is only set to grow. Monetizing usage is a trend that many companies are turning to. However, businesses are quickly learning that legacy business systems cannot deliver on the opportunity. For example, legacy processes are unable to manage the billing system internally because usage is a constantly moving target. Plus, they need to take into consideration different pricing levels, sales channels and increasingly complex product catalogs. An advanced recurring billing platform can adapt to these fluctuations as required. Another potential barrier to this system is that there can be unpredictable costs, such as the manpower you need to support the customer base. These needs can vary from one month to another as usage fluctuates across seasons, demographics, and use cases. Consequently, all this might hinder operational efficiencies in your business from a resource planning perspective. Historically, because of the complexity of usage-based billing, only specific resource-rich enterprise businesses with a large, locked-in user base were able to take advantage of usage-based billing—such as utility companies and communication companies like telephone and cable businesses. However, advancements in platform accessibility and delivery, functionality, and better integration between components such as order management, automated billing, payments, invoicing, and customer support have opened the doors to other industries. SaaS businesses learned to monetize their systems with usage-based recurring billing strategy early on, but now, businesses across the board can take advantage of usage-based billing. By charging customers for their usage instead of a flat monthly or annual fee, you can identify those heavy users who might be consuming a larger percentage of your resources. You can then provision adequate resources for these specific customers. At the same time, this billing approach reduces the barriers for customers who may have been turned off by a product that bills out at a higher rate than they would use. While an elastic billing model attracts more customers, it reduces churn because customers see and understand exactly what they are paying for. This, in turn, helps to drive predictable business revenue. Can your product fit into different packages? Take a good look at your product catalog and determine if you have a product that can be broken into different segments. 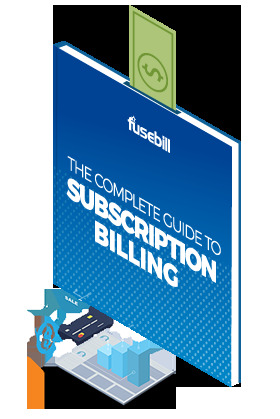 Will your customers understand your billing? Your customers dictate the success or failure of your business, so if they are confused by your billing structure, you’ll see a higher instance of churn. Keeping your billing plan structured in concise terms will ensure consumer understanding of your different levels while also bringing their attention to upgrade paths towards higher priced packages. How frequently does your customer use your product? If your product is not used often, this billing strategy may not work well for you. However, if it is used frequently, usage-based billing helps generate predictable income for your company. With any recurring billing business, customers need to see the value of your product and be charged accordingly. When customers understand the value, and know they are being billed for their usage, it’s a win-win situation for both the recurring billing company and the customer.